Voted North Carolina's best beach for its experiences, Wrightsville Beach is known for its crystal blue waters and spacious shoreline. It's an active area with plenty of watersports and outdoor activities to enjoy year-round. Have fun surfing, paddleboarding, kayaking, and kiteboarding. The area boasts scenic harbor cruises and plenty of deep sea fishing. Land lovers that want a beautiful water view can fish off Johnnie Mercer's Pier, do some bird watching or take a walk on The Loop fitness trail. And, if you're a shopper, there are plenty of options to keep your bags full. The Wrightsville Beach Museum of History is a great stop to hear the story of the island's 100-year history. Many of the hotel resorts offer educational learning experiences too at the North Carolina Coastal Education Center. 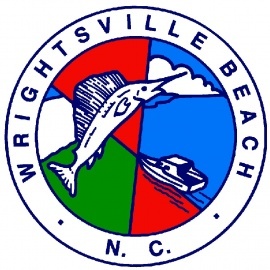 Wrightsville Beach is a quaint coastal town that is a perfect vacation spot for travelers and a special community for the resident with their vibrant local spirit. 3rd Annual North Carolina Beach Party! MAY 17th- 20th!!! !